Around 50 per cent of pupils who left school before taking their GCSEs last year did not end up in another state school, prompting warnings about schools deliberately “off-rolling” problem children. New Ofsted analysis of school census data shows that more than 19,000 pupils who were in year 10 in 2016 did not progress to year 11 in the same school. This equates to around four per cent of year 10 pupils. Although many of these pupils moved to another state-funded school between years 10 and 11, “around half” did not reappear in the census of a different state-funded school. The inspectorate has also identified hundreds of schools with “above expectation” levels of pupil movement, and says it will use the findings to “focus its attention” at inspection. 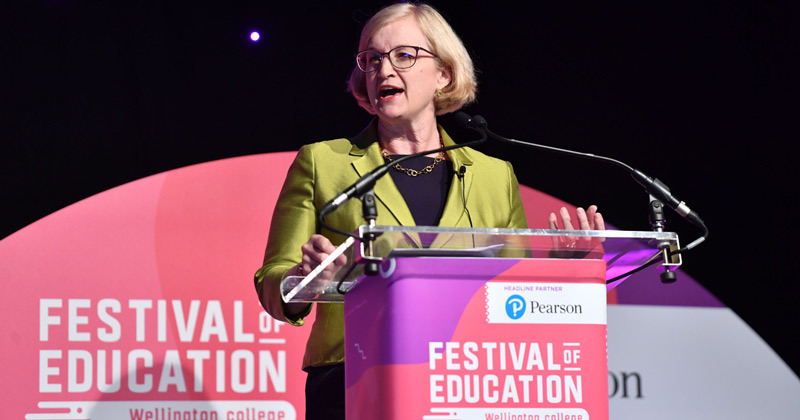 Chief inspector Amanda Spielman has accused some schools of “gaming the system” as they have “lost sight of what they’re there for”. “It’s almost certainly to help the school because the most disruptive, hardest to teach children are likely to be the ones who will have the worst progress scores, so by losing them you are likely to be bringing up your school results,” she told The Times. In a blog published today, Jason Bradbury, Ofsted’s deputy director for data and insight, said the inspectorate is concerned about off-rolling “where schools may be encouraging pupils to move”. Though Bradbury accepted some of those pupils who left after year 10 but did not move on to another state-funded school may have gone to a private school or into alternative provision or home education, he warned some may have “ended up in an unregistered school, or dropped out of education entirely”. “Unfortunately, it’s not possible to know the full story of where pupils went to, and why, from the school census data alone,” he said. Children with special educational needs, those eligible for free school meals, those who are looked after and some ethnic minority groups are more likely to leave their school. “For example, around 30 per cent of pupils who leave their school between years 10 and 11 have special educational needs, against 13 per cent of all pupils. Where these pupils go to is unclear for half of these pupils, which could be a sign that a large proportion are being home-schooled,” he continued. Incidents of off-rolling are not evenly spread across the sector, with London schools seeing more movement of pupils compared with other areas. Academies, and particularly those in some multi-academy trusts, “appear to be losing proportionately more pupils than local authority schools”. 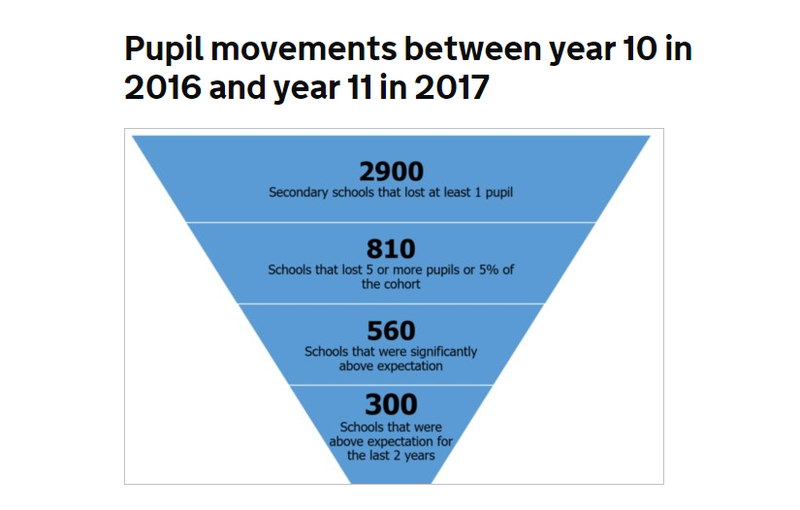 300 schools had movement “above expectation” between years 10 and 11 for the past two years, and 560 had movement that was “significantly above expectation”. 810 schools lost five or more pupils or five per cent of their year 10 cohort between 2016 and 2017, while 2,900 secondary schools lost at least one pupil.